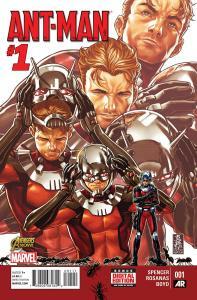 ANT-MAN #1 | Preview | Soon to be a Marvel Movie! 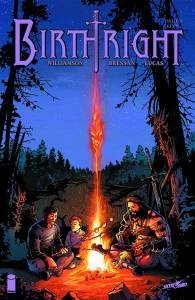 WHY WE LOVE IT: In the footsteps of Archaia titles Rust, Iron, Will o’ the Wisp, and The Reason for Dragons, debut writerartist Jorge Corona brings a brandn-ew voice to the comics industry with Feathers. With our passion for working with fresh talent, we could not be happier to introduce his work to a wider audience. WHY YOU’LL LOVE IT: There’s never been a better time for fantastic, all-ages comics that embrace both the darkness and beauty in life. 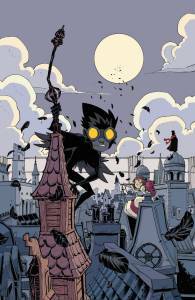 Fans of Avatar: Legend of Korra, Mike Mignola, and Amulet will fall in love with Poe, the boy covered in feathers. Deck the halls with balls of steel! Or something like that! 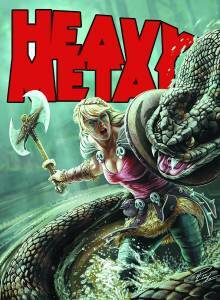 Heavy Metal celebrates the holidaze by launching Enki Bilal’s epic “Julia & Roem,” kicking off Erika Lewis’ stunning new graphic novel, “The 49th Key,” and introducing horror writer Matt Farrell to our unhallowed pages with his short story “R.I.P.”! And that’s just the beginning! Cover by merry Ron Leary! Ho Ho Holy Cow! 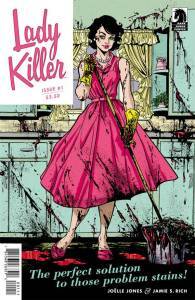 Josie Schuller is a picture-perfect homemaker, wife, and mother-but she’s also a ruthless, efficient killer for hire! A brand-new original comedy series that combines the wholesome imagery of early 1960s domestic bliss with a tightening web of murder, paranoia, and cold-blooded survival. 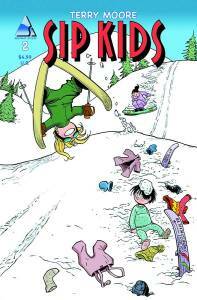 The kids are off from school for the holidays and everybody’s headed to the local ski resort except Katchoo. Fortunately Francine has a plan to sneak her friend into the family plans. All they need is Freddie’s help and a lot of luck! Don’t miss the new issue of this acclaimed series featuring the cast of Strangers In Paradise as 6 year-olds! NOTE that the comic formerly known as TOOTH & CLAW is now AUTUMNLANDS TOOTH & CLAW.